With one of the Western world’s strongest agrarian economies, it will come as little surprise to learn that Australia is a prolific producer and consumer of pesticides. Australia has a long history of using pesticides in agricultural and forestry practices and as a result, pesticide contamination is widespread across both rural and urban areas. 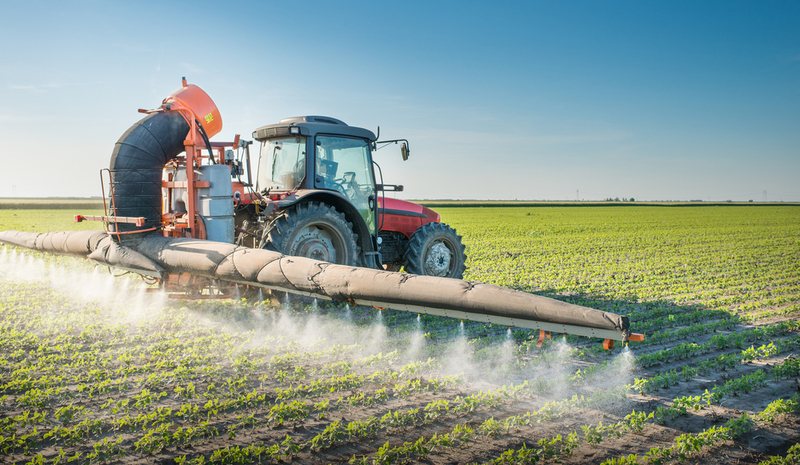 This week, we take a look at 7 startling facts about pesticides, which illustrate why environmental management of this chemical class is so crucial. Nonpoint or ‘diffuse’ pollution refers to pollutants which spread across a wide area and do not have an identifiable source (like a pipe or drain). This is one of the reasons that pesticides are all the more nefarious than traditional industrial waste, as they are incredibly difficult to monitor and control. Due to the overuse of herbicides and pesticides, many of these chemicals are no longer a viable control option. In Australia, it costs just $1.50 per hectare to spray a broad spectrum pesticide. These pesticides kill all insect life, and in doing so destroys the natural predation of pests by other insects, ultimately exacerbating the pest problem. Organophosphates are designed to disrupt the neurological system of insects but it can have a similar effect on animals and humans. Organophosphates are still widely used in Australian agriculture, despite being banned in both the EU and parts of the US. The Stockholm Convention on Persistent Organic Pollutants identified 12 of the most persistent and dangerous organic chemicals, 9 of those were organochlorine pesticides. These have half lives lasting up to decades and are incredibly resistant to biological, physical and chemical degradation. This includes carcinogens, hormone disruptors, and chemicals that the World Health Organisation has classified as highly hazardous or extremely dangerous. Many of these pesticides are used on crops for human consumption. Australian law states that there must be conclusive scientific evidence that a pesticide is unsafe before it can be banned. Testing the effects of a pesticide on humans and the environment is a long and expensive process, so it’s unsurprising that Australia’s banned pesticides list is substantially shorter than most other countries which stipulate that a pesticide must be proven safe before it can be sold.